Over a hundred people, victims of the financial activity of the MMM Joint Stock Company, crowded at the entrance to the investigation committee of the Russian Interior Ministry in 1990s. A financial pyramid scheme, which led to millions of Russians losing their savings in the 1990s, has been launched in 18 countries. Sergei Mavrodi, founder of infamous Russian financial pyramid scheme called MMM (Mavrodi Mondial Moneybox), has launched subsidiaries in Asia, Africa and South America. RBTH answers questions about how MMM became a major scam in the 1990s and why potential investors should not believe promises of 30-percent, 50-percent or even 100-percent returns per month. 1. Who is Sergei Mavrodi? Sergei Mavrodi became known in Russia in 1993, when he launched the sale of shares in the MMM company, the biggest financial pyramid scheme in Russian history. At the time MMM had the structure of a joint-stock company and offered investors the chance to invest in shares with a promised return of about 100 percent a month. But within a year, MMM was already unable to pay its depositors. Mavrodi was then arrested and convicted of fraud. He was released from prison in 2007. Sergei Mavrodi, entrepreneur and founder of the MMM company, giving an interview to RIA Novosti. 2. Why did so many Russians give money to MMM? According to various sources, 20 years ago between 2 and 15 million Russians were victims of the MMM scam. 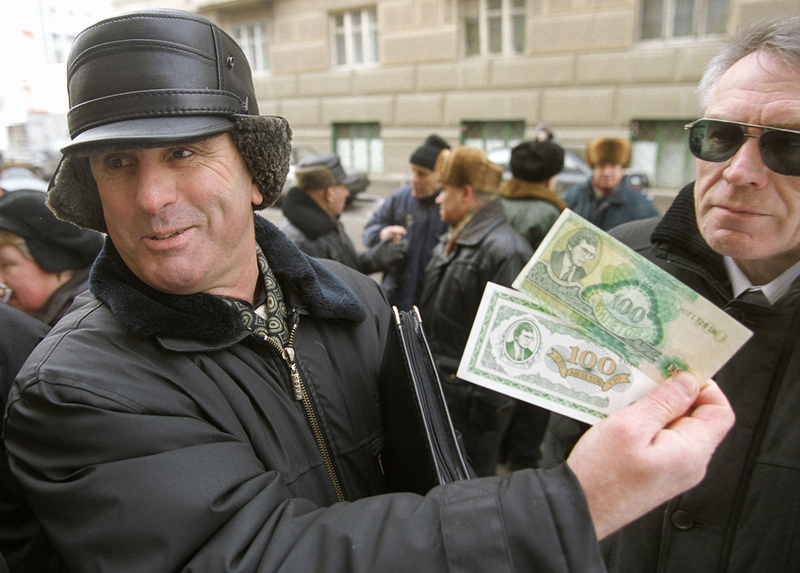 “It is not surprising that millions of people decided to put their money into MMM in the early 1990s because Russia was suffering from hyperinflation at that time (in 1992 the value of the ruble fell 26-fold) and savings were being devalued before people's very eyes,” Olga Kuzina, a research fellow specializing in financial behavior at the Laboratory for Studies in Economic Sociology at the Higher School of Economics, told RBTH. According to her, in a situation of economic collapse people were looking for any opportunity to salvage their savings, but as soon as it became clear that MMM didn't work, the number of people that wanted to buy its shares immediately went down to zero. 3. Where does MMM operate today? From 2012, Mavrodi started opening subsidiaries in developing countries. According to the official MMM website in Thailand, which can only be accessed from Thailand, the company currently has subsidiaries in 18 countries in Asia, Africa and South America. In these countries, MMM is promoted as a mutual aid fund in which an investor's money not only helps the needy but also makes a return ranging from 30 to 100 percent a month, depending on the country. Judging by MMM's public pages on Facebook, the organization is popular in India (150,000 followers) and Nigeria (130,000), as well as The Philippines (60,000), South Africa (30,000) and Brazil (10,000). In Indonesia, Thailand, China, Japan and other countries the number of followers does not exceed 5,000. The MMM websites give no information about the number of people involved in the pyramid scheme in each country. RBTH has sent a query to Sergei Mavrodi on the only account he has on the video hosting platform Vimeo (Mavrodi doesn't use social media) but received no reply. It has also proven impossible to get an answer from MMM representatives in Indonesia through their regional public page on Facebook. 4. Is it definitely a financial pyramid scheme? Today's model of MMM, as well as the MMM model of 20 years ago, is a financial pyramid scheme, Sergey Khestanov, macroeconomics adviser to the general director of Otkrytie Broker, told RBTH. The difference between a financial pyramid scheme and an honest financial institution (for example, an asset management company or a broker) is that under a pyramid scheme, money is not invested in any financial instrument but simply lies in a common kitty until investors decide they want it back. “As soon as the influx of gullible new investors becomes less intensive than those seeking withdrawals, the pyramid scheme collapses,” Khestanov says. MMM websites in Thailand and Nigeria talk of a return of 30, 50 or 100 percent a month but at the same time honestly admit that MMM neither works with banks nor invests in securities. 5. How are returns of 30, 50 and 100 percent generated? 6. Why does MMM set up shop only in developing countries? “The success of financial pyramid schemes is clearly linked to the financial literacy of the population: the lower the level of financial literacy, the more widespread are pyramid schemes, and vice versa,” Khestanov says. “In developed countries, as a rule, there are clear legislative restrictions for companies that have 'pyramid' characteristics; also the law-enforcement agencies in these countries have more experience in intercepting such schemes,” Kabakov adds. However, according to Kabakov, there is no guarantee that pyramid schemes won’t be set up in the West. In 2008-9, Bernard Madoff admitted to committing the largest financial fraud in U.S. history. Madoff was operating on Wall Street under the guise of running a respectable investment advisory firm, but was essentially conning investors by using a pyramid scheme, or as the Americans call it, a Ponzi scheme. Elizaveta Moskvina, RBTH editor for Indonesia contributed to this article.